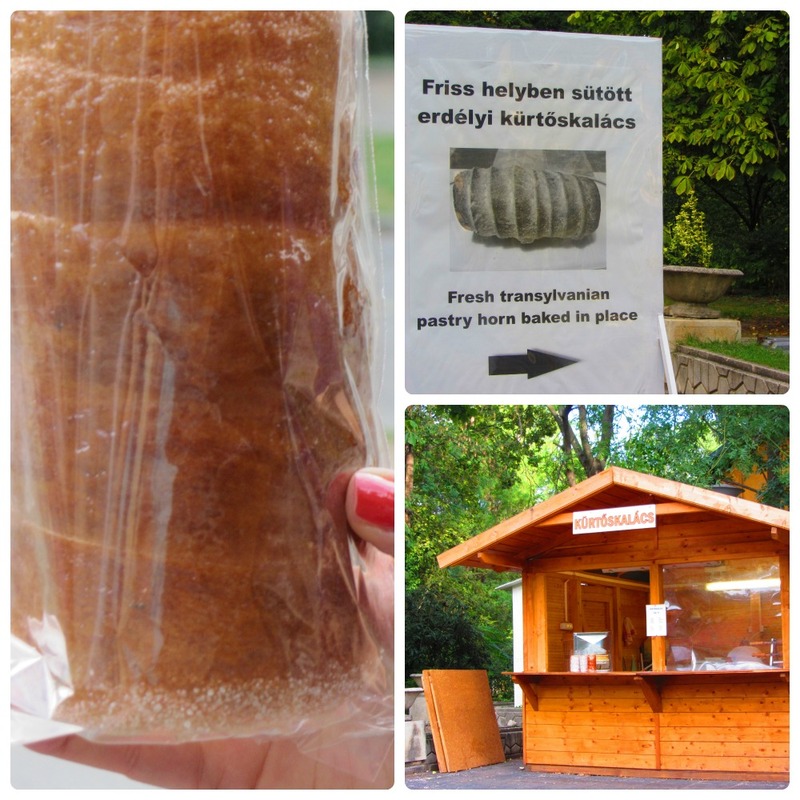 Kürtőskalács is my favourite pastry in my days in Budapest, and the Bread of Kürtös stall in fX is selling pretty much authentic copies of those heavenly rolls (despite a little misspell: they change the ő with ö). These rolls typical of Székely Land — an area in Transylvania, Romania; inhabited mainly by the Székely Hungarians — but are common in food stalls around Budapest and other cities in Hungary. The rolls are usually baked above charcoal, creating yummy softness inside and crispy outer parts, best eaten while freshly cooked. Due to safety and practical reasons, Bread of Kürtös does not use charcoal, but an oven with heating strips in between the space to, well, roll the rolls. Bread of Kürtös provides traditional flavours I’ve tasted plenty of times in Budapest: the plain and cinnamon ones. 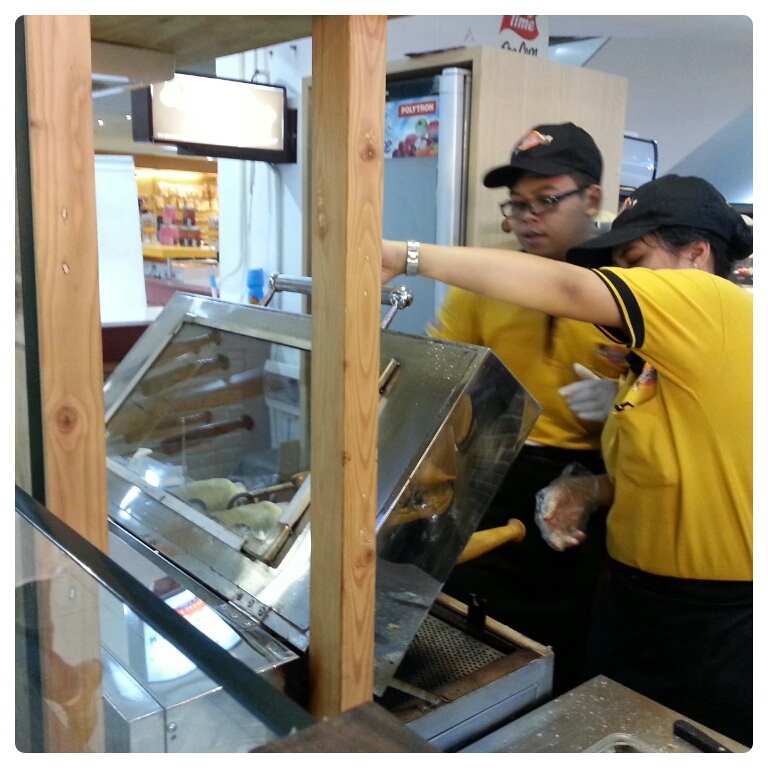 The stall expands to less-traditional ones such as garlic cheese, Nutella hazelnut, and chicken floss. 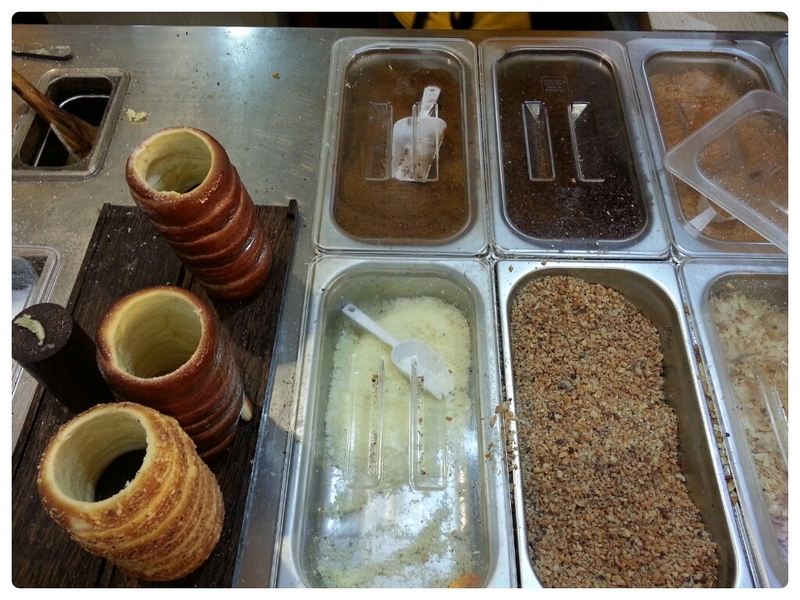 My parents and I bought the rolls of cinnamon (Rp 16 K), garlic cheese (Rp 18 K), and Nutella hazelnut (Rp 20 K). All were delicious. The cinnamon one tasted like the ones I had savoured in Budapest, plenty of Nutella and nuts were sticked to the Nutella hazelnut one, and I could not stop myself to keep eating the garlic cheese roll (if only I brought chili sauce with me…). 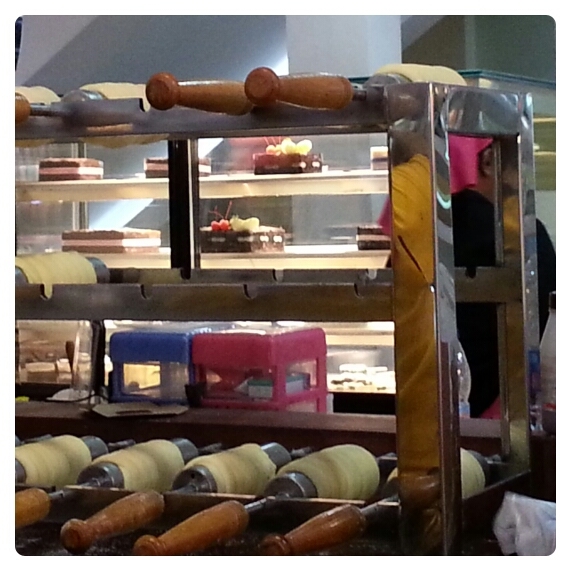 The stall is not the first store to sell Kürtős rolls in Jakarta, I think Lady Alice Tea Room in Gandaria City is. But I like this one in fX more because it gives more of the street stall vibe found in real stalls in Budapest, while Lady Alice is a tad too fancy for my taste. 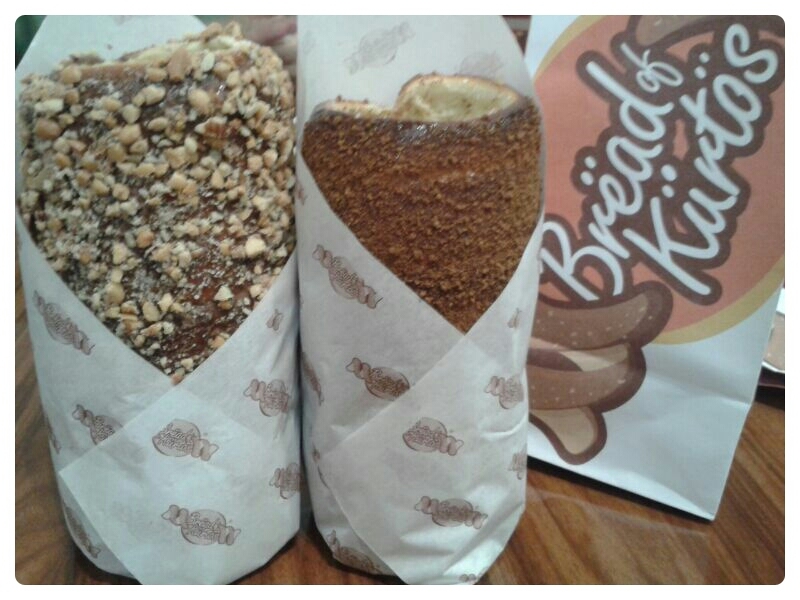 The rolls in Bread of Kürtös are bigger and more affordable, too, compared with the ones in Lady Alice. The rolls are big, so it’s better to share with your friends and families. 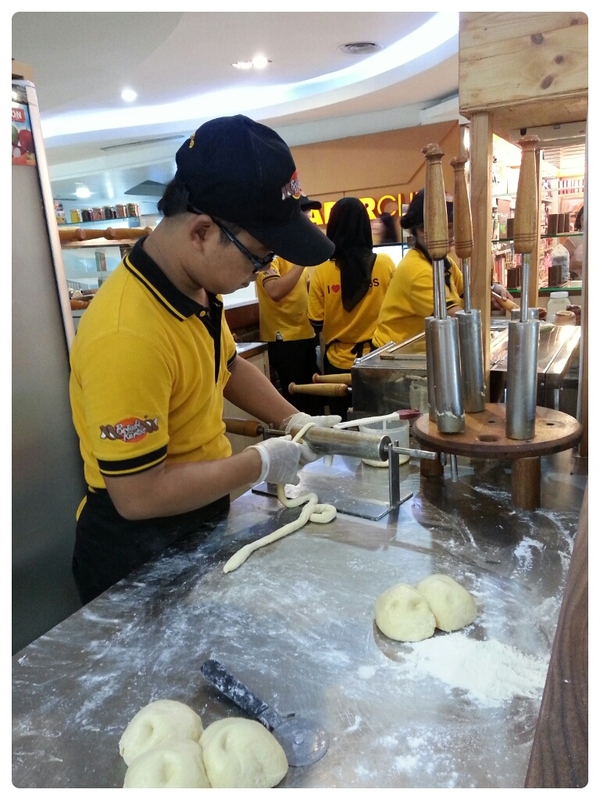 And because you have to use both hands to peel and eat the rolls, you can not utilize your gadgets. Unless you’re way too addicted to your gadgets and don’t mind making ’em dirty with your dirty fingers. So yeah. Gadget-free moments are rare these days and I love any excuse to do so. Especially when it’s related to munching delicious food. You can ask questions about the rolls and they will try their best to answer. You can also snap lots of pictures of them making the rolls and they wouldn’t mind. At least that was what happened when my parents and I went there. The only minus point of the stall is they have no seats available. So you have to find somewhere else to sit and eat the rolls while they’re hot. My parents and I chose to sit at Cali Deli on the ground floor of fX and eat the rolls alongside with coffee and tea. We don’t mind that. I think I’ll return to Bread of Kürtös every time I miss Budapest.